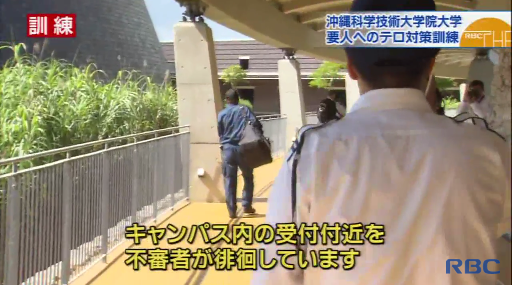 Ryukyu Broadcasting Corp (RBC) covered Police training against terrorism which was held August 29 on OIST campus. * The link below will be no longer available after a few days. If you are interested in watching it, please contact the Media Section.